Visiting a new church can be intimidating: What should I wear? Where do I park? Where do my kids go? We understand the many thoughts that can come from visiting a new church, so we want you to feel completely comfortable when you visit. Below are some frequently asked questions. When you arrive you will be greeted by one of our friendly members and they will be able to point you in the right direction. If you have any additional questions, don't hesitate to contact us or visit the Welcome Desk when you visit. 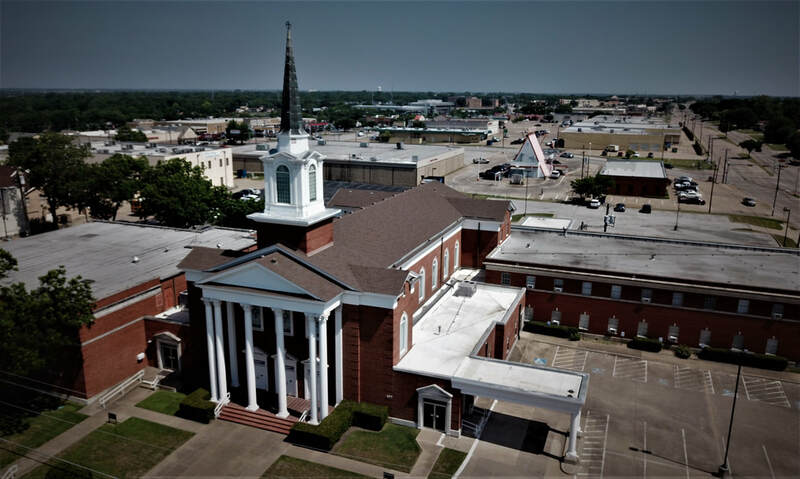 FBC Mesquite is located near the intersection of Kearney and Belt Line Road in Mesquite, TX. Please visit the Home Page where you can click on Map under the Contact Information at the right side of the page. During the Sunday School hour the children meet on the 1st floor of the Children's Building. They will be greeted at the Sunday School hallway and assigned to a class. When class is over, preschoolers are escorted to Children's church, located on the 1st floor of the Children's Building, while children in grades 1-6 are released for morning worship. The Nursery is also open for babies. It is located on the 1st floor of the Children's Building. Parents are welcome to leave their cell phone number in the event the nursery workers feel they need to contact you. We want you to feel comfortable. After all, we are thrilled that you're joining us and want you to be more focused on the service than what you're wearing. It's not uncommon to see people women wearing slacks or sundresses. Others prefer to still put on their "Sunday best," and that's fine too! We think you'll fit in no matter how you dress. If you are visiting with us, we don't expect you to put money in the offering, and you are welcome to just let it pass you by. If you consider FBC Mesquite your church home, we'd love for you to prayerfully consider giving. You can give by check or cash during the service, or you can mail your offering to the church office.